Logins this hour: 651 ? By default, Amion configures group paging/messaging by staff type. However, you can configure custom paging/messaging groups. In OnCall, go to File / Preferences / Paging, 2. Check the box Enable group paging. Close the Preference window. Next, go to Window / Rule Writer. In the first drop-down box, filter for Paging group. In the second drop-down box, label the page group by typing over "Paging group 1". Use the third drop-down box to set up the group page. For example, if needing a group page for everyone who's on call that day, filter for "call/shift". Select all the call services in the list below that you want part of the group page. To create another page group, click the blue asterisk icon * to the left of the second drop-down box. When finished configuring all your custom page groups, exit the Rule Writer box and Publish to Amion to save changes. To access page groups at Amion, click on the green pager icon, in the toolbar above. As of July 10, 2017, a personal contact number can be a group page/message. Personal contact numbers appear on the daily who's on page, schedule roster page, and in the call directly below monthly schedules. For instance, you may have a service that doesn't have a specific provider scheduled per day, but rather a group of providers that cover the service. When needing to reach who is on call for that service, you need each member in the group to receive the page/message. Update OnCall to a build date of July 10, 2017 or newer. In the top dropdown, select "Paging group". In the middle dropdown, rename the page group rule to a name that describes this type of page group. In the bottom dropdown, select "Staff". Then select the staff from the list below that you want included in the page group. Note: the page group doesn't have to be a selection of staff. You can build a page group based on other criteria such as call/shift, day of week, etc. Close the Rule Writer toolbox. Click the File menu and select General Setup. Click the "Staff" tab and add the generic staff placeholder name you'll use to staff each day of the service. Then exit the General Setup toolbox. Click the Work Preference face icon in toolbar above. In the Infobox toolbox, filter for your new staff's name. Next, in the top text field, enter Group XXXX, replacing the XXXX with your page group rule. 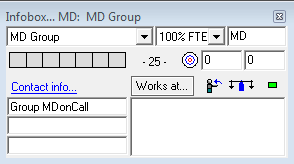 For instance, if you named your page group rule as "MDonCall", then in the contact field, you'd enter "Group MDonCall". Publish to Amion to save changes. 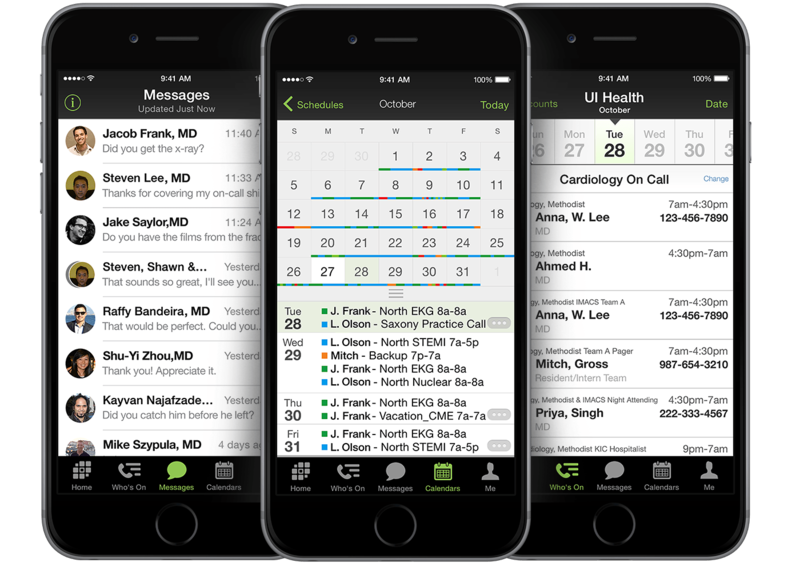 Update to the Feb. 7 version of OnCall. With the latest version, bring up the Rule Writer (Window menu / Rule Writer) and choose "Paging group" from the top selector. Use the Rule Writer (Window menu / Rule Writer) and choose "Paging group" from the top selector. Choose a paging-group rule from the middle selector and right click in the box at the top that shows the rule. Select the last button in the popup, "Message text template". You'll get a small toolbox where you can enter the default text. To insert a line break, hold the Ctrl key and hit Enter. Hit OK when done and save to Amion. 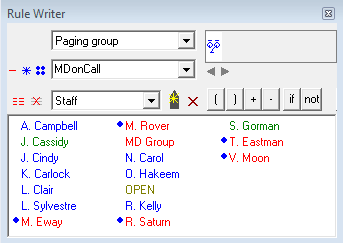 When you choose the paging group from the "All staff on..." drop-down selector, you should get the template text in the Message box. Keep the template short. You have a max of 40 characters, including the line breaks. I can extend it if needed but it's best to keep the static text to a minimum.